CHEATING MACHIK AT PASIR RIS MARKET! SCAMMER! You are at:Home»Caught In The Act»CHEATING MACHIK AT PASIR RIS MARKET! SCAMMER! 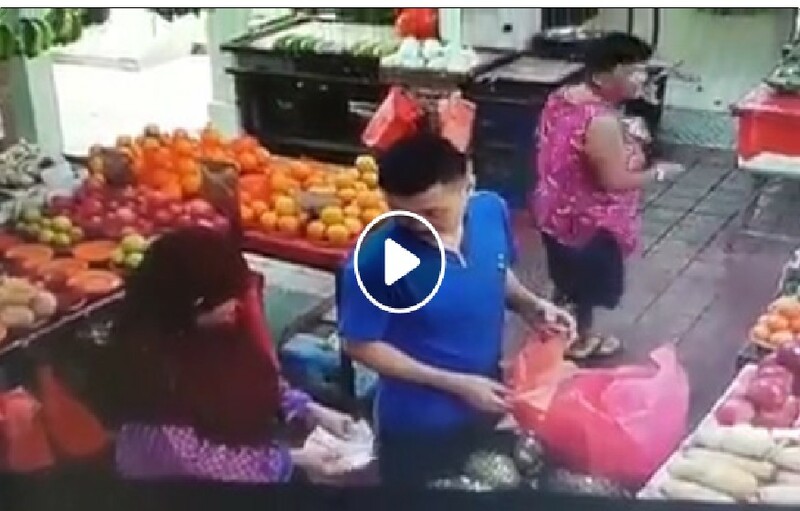 A woman at a Fruit stall located at Pasir Ris market has been caught on the CCTV for stealing/scamming money. She directed the fruit stall sellers attention and kept part of the change in her pocket and told the seller that the change given to her was wrong and asked for the correct amount. Previous ArticleLIZARD FOUND IN MILO POWDER IN MALAYSIA. BEWARE! Next Article CAT WILL BE PUT DOWN BY AVA IF NO ONE ADOPT!! !